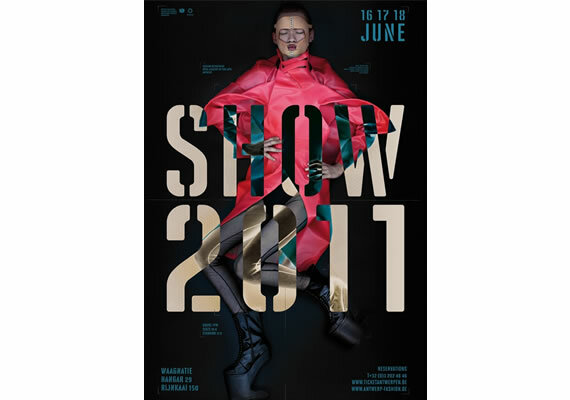 From June 16-18, 2011, the Fashion Department of the Artesis Hogeschool Antwerpen presents its annual fashion show at Hangar 29 in Antwerp, Belgium. The annual graduation show of the Fashion Department is a celebration of fashion, bringing together some 6.000 spectators from all over the world, not only to judge and/or admire the student's collections, but also for the unique atmosphere of this grand defilé. Once a year the building is filled with friends, fashion enthusiasts, manufacturers, former students, fashion designers, styling agencies, culture buffs and the press. The show is repeated three evenings in a row. Students from all four years show their work on the catwalk and an international jury of experts in fashion and creativity judge their collections and installations. During SHOW2011 you can also buy the annual SHOW/OFF Magazine.